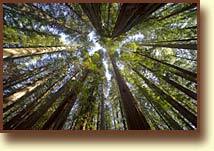 The giant coastal redwoods of Northern California are world famous as they are the tallest living things on the planet. The best place to view these majestic wonders is the Avenue of the Giants, a 31 mile scenic drive that parallels Highway 101. The northern entrance to the Avenue is just a few minutes from the Humboldt Gables Motel. 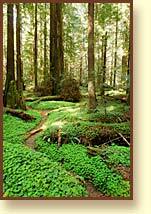 Along the Avenue you'll find over 50 thousand acres of redwood groves to explore. There are many hiking trails to discover that will take you through fern and sorrel covered hills under the canopy of the giant redwoods. You'll also find such curiosities as a tree you can drive through, a house made from one log, and a tree house that is literally inside a 2500 year old living tree. Humboldt Redwoods State Park encompasses nearly 53,000 acres, of which over 17,000 are untouched old growth coast redwoods. Created in 1921 with the small Bolling Memorial Grove the park has grown over the years to include a diverse ecosystem including the entire Bull Creek watershed and the Rockefeller Forest, the largest remaining old growth redwood forest in the world. 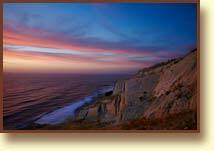 This is the third largest California State Park and protects an environment unique to anywhere else on earth. The rugged coastline of Humboldt County proved an obstacle to early road builders, and so Highway 1 gives up just north of Fort Bragg and heads inland to join up with Highway 101. This mostly undeveloped coastline became known as the Lost Coast. While some sections are only accessible on foot, there is one route, known as the Lost Coast Loop that provides a pleasant day drive that will take you through giant redwood forests, to the splendid scenery of the rugged coastline, and then end up in the Victorian Village of Ferndale. Works just as well in the other direction too. Just make sure you have a full tank of gas before you leave, as services are sparce. 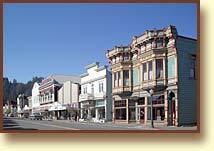 Ferndale is one of California's best preserved Victorian towns. Founded in 1852, its location was well suited for raising dairy cows, and during the 1870s and 1880s many farmers built what have become to be known as Butterfat Palaces. Elegant Victorian farmhouses dot the countryside, but Main Street is where you'll find the impressive commercial structures that merited awarding the whole downtown a spot on the National Register of Historic Places. Still a working dairytown, Ferndale also provides a unique shopping experience with a blacksmith shop, a country mercantile store, and several art galleries. The Ferndale Chamber of Commerce web site lists the many events that make Ferndale such a fun place to visit. Humboldt Gables Motel is just down the street from Rio Dell's Fireman's Park. 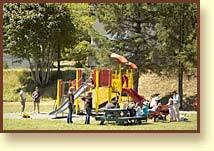 Facilites include picnic benches, playgrounds, baseball fields, and bocce courts.